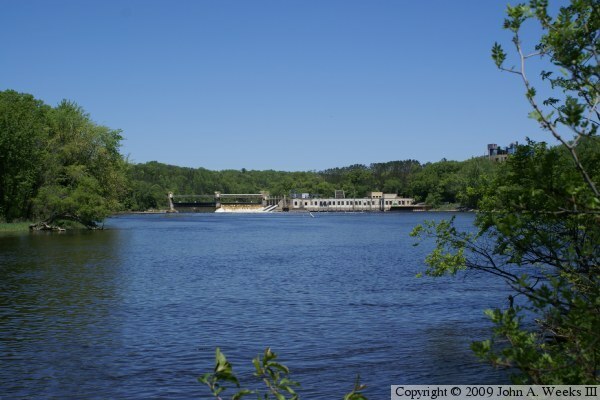 This dam was built in 1888 by the Crow Wing Boom Company, which sorted and classified logs that were floated down the river to local sawmills. In 1898, the Northwest Paper Company was founded. 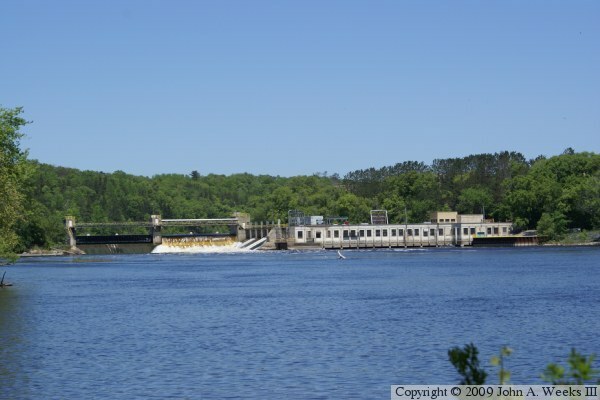 They purchased the dam and water rights for a future mill. They began operation of a grinder plant in 1903, which ground up logs into wood fiber. The wood fiber was shipped to a paper mill in Cloquet. Construction started on a full process paper mill in 1915. It began producing newsprint in 1917. As part of the construction, the dam was rebuilt and increased in height from 16 feet to 20 feet. Northwest Paper became Potlatch at this time. The plant converted to wall paper in 1935. It converted again in 1953, this time to coated papers. In 2002, Potlatch sold the Cloquet paper mill. Unable to find a buyer for the Brainerd mill, and with coated paper becoming increasingly unprofitable due to foreign imports, Potlatch closed the Brainerd mill. The last of 600 employees were placed on layoff. A Michigan-based paper company called Missota Paper bought the mill in 2003, and began a limited start-up of the paper line. 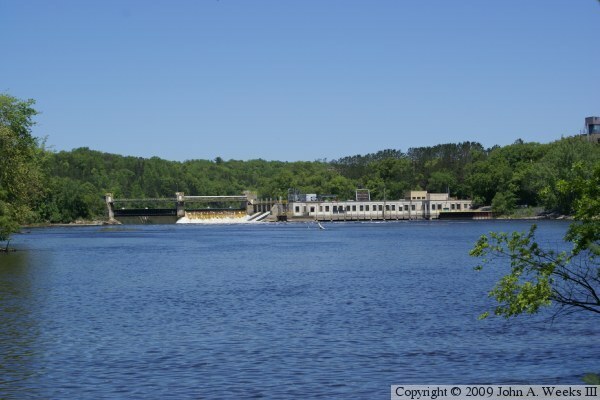 In early 2004, Wausau Papers purchased Missota Paper, gaining ownership of the Brainerd Mill in the process. The mill now makes high quality non-coated paper, an item for which demand is limited. The photo above is a view of the downriver face of the dam as seen from the south riverbank. 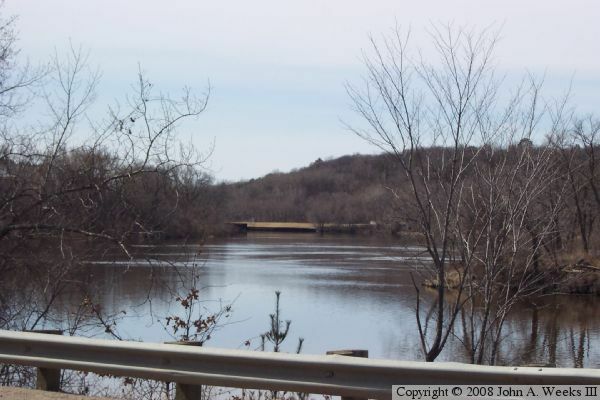 The photo below is the upriver face of the dam as seen from the Crow Wing County Highway 3 bridge located just upriver. Access to the Potlatch Dam is restricted on both sides of the river. As a result, views of the dam are very limited. The back of the dam can be seen from the highway 3 bridge. To see the front face of the dam, locate the cemetery southwest of the paper mill. There is a trail leading down to the river at the back of this cemetery. Head down the trail, then walk through the brush to the edge of the river. These two photos are a slightly different view from the south riverbank. The photo above is a closer view, while the photo below is a wider view.